‘Once Upon a Time in Hollywood‘ will be Quentin Tarantino’s ninth film, which means he has just one more to go, if he’s sticking with his “10 films and out” plan. This Once Upon a Time in Hollywood flick might feature one of the most impressive casts we’ve ever seen. You have Leonardo DiCaprio, Margot Robbie, Brad Pitt, Al Pacino, Kurt Russell, Dakota Fanning, Timothy Olyphant and the list goes on and on. Columbia Pictures released the first poster for the movie, and honestly it looks a bit weird. 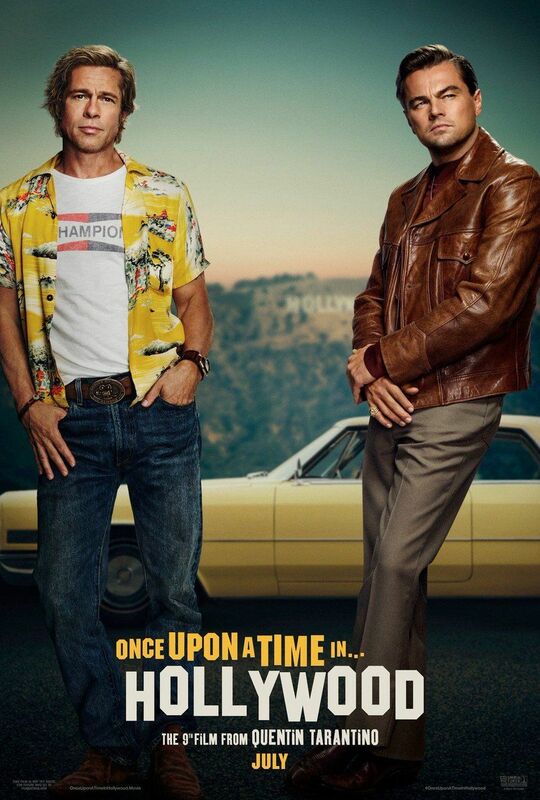 Obviously you have Brad and Leo front and center, with the Hollywood sign in the background, but why does Brad look so weird? It looks the head doesn’t match the body. Strange. We do know that sometimes studios will place actor’s heads on body doubles for posters, because it’s often difficult to get the stars to pose in the poster, so maybe that’s what happened here. Either way, it doesn’t really matter. It’s a Tarantino film. The poster could be a giant turd swallowing another giant turd, and it still wouldn’t make us want to watch it any less.